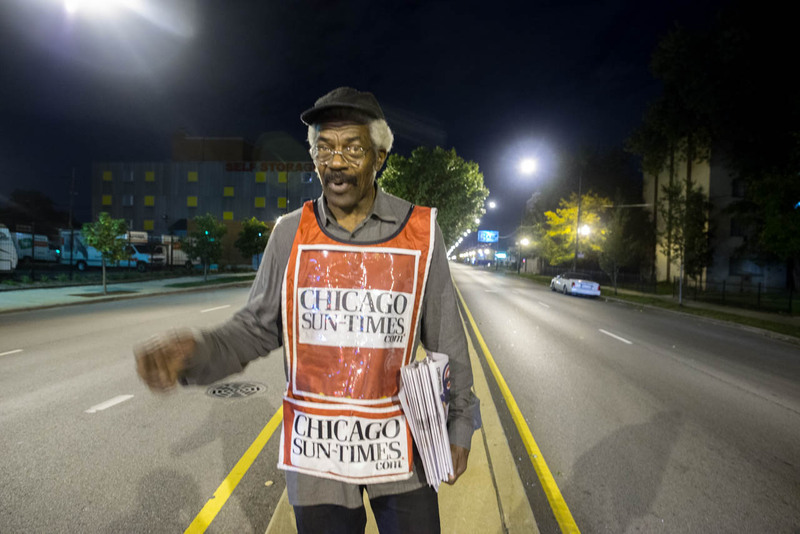 Former steel worker Fulton Houston 67 selling the Chicago Sun Times on West 87th and Ashland Ave. He used to sell papers downtown, people were generous there and often gave him money. "He cried like a baby " when they moved him to the South Side. He starts selling papers at 5 AM.